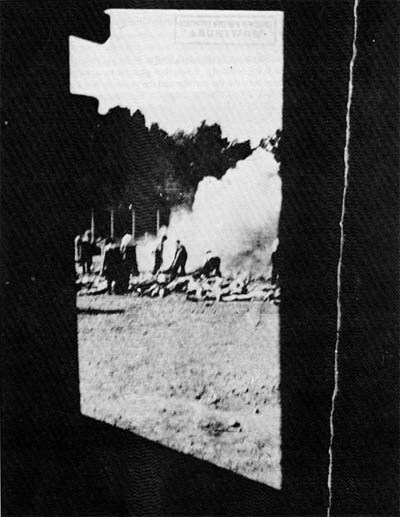 Presented in 1945 as the only photographs of the extermination of the Jews, taken in August 1944, they were attributed by Judge Jan Sehn in the initial publications of the Central Commission for the investigation of Hitlerian crimes in Poland and the Auschwitz Museum to the former prisoner David Szmulewski. Four photographs were taken with a camera smuggled into Krematorium V. Two were of reasonable quality (Photos 15 and 16 [PMO neg. nos. 280 and 281], one just about usable (Photo 17 [PMO neg. no. 282] and the last one useless (Photo 18) [PMO neg. no. 283]. 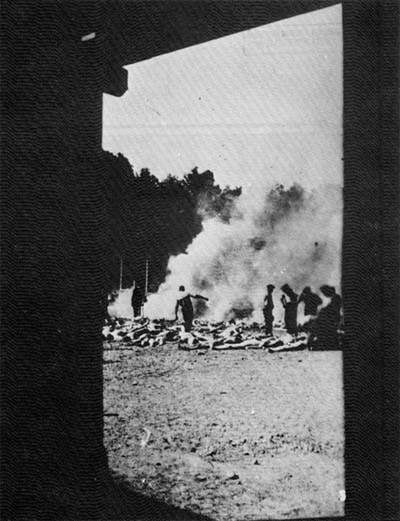 The clandestine photographer had taken two pictures of corpses being burnt in the open air [Photos 15 and 16], one of naked women [Photo 17] and one of tree branches [Photo 18]. 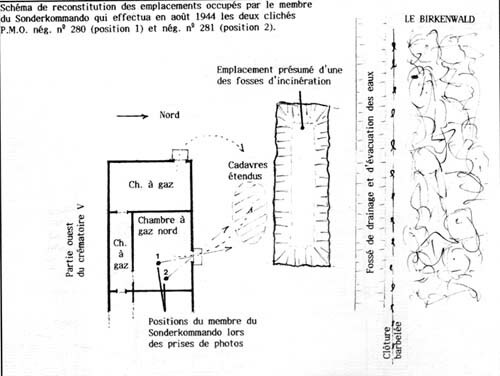 Attempted photographic reconstitution of Photos 15 and 16 made by the author in 1984, operating inside the northern gas chamber of Krematorium V and looking northwest. The birch trees visible just behind the barbed wire fence should be ignored for they were not there in 1944 and have grown since. The dark line of the Birch wood can still be seen through them, in particular on the right. 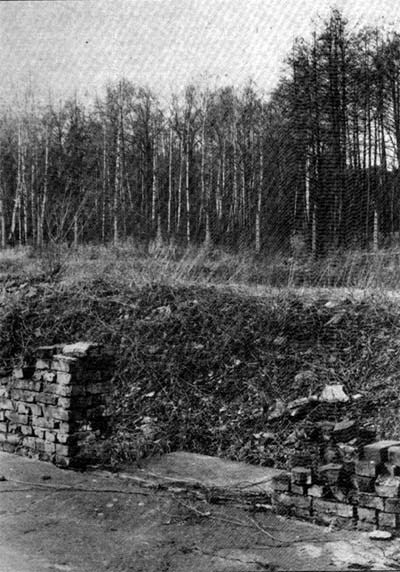 The rubble from the cleared foundations of Krematorium V was simply placed around he perimeter, so that here the overgrown rubble hides the presumed site of the cremation ditch, which was filled in by the SS before the Liberation of the camp. PhotoSketch map showing the positon of the Sonderkmmado man who took the photographs from inside Krematorium V in August 1944: PMO neg. nos. 280 (position 1) and 281 (position 2).